An international team led by Uppsala University and including scientists from DESY and the European XFEL has for the first time successfully imaged whole living bacterial cells with an X-ray laser. The method used in this experiment can produce results that are of higher spatial and temporal resolution than even the best optical microscopy techniques, with the added possibility of creating detailed 3D models of the cells. “When you really want to understand the details of a cell’s functions, you need it alive”, says Uppsala University Professor Janos Hajdu, one of the lead researchers in the experiment and an advisor to European XFEL. The technique, as described in the journal Nature Communications, allows scientists a clearer view into the complicated world of the cell. The method involves spraying the cells into a fine aerosol ahead of the pulses of an X-ray laser. This aerosol — literally a beam of living cells — has a thickness less than that of a human hair. 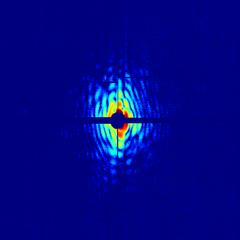 The ultra-short X-ray pulses scatter from the individual cells and the resulting diffraction patterns are picked up by a detector. Computer programs, including several developed in collaboration between Uppsala and DESY, analyze the data and reconstruct the image of the cells. “While the X-rays destroy the cells in the process, an X-ray laser’s ultra-short flashes and high intensity allow the diffraction data to be captured quickly enough to get an accurate picture of the sample before it disintegrates. The flashes outrun the damage,” says Anton Barty, a DESY scientist at the Center for Free Electron Laser Science who is also a co-author of this paper. This technique, called “diffraction-before-destruction”, has been proven to work in several studies with biological and also with inorganic samples before. 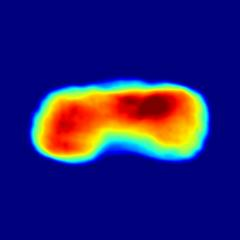 The cell imaging experiment took place at the LCLS X-ray laser at SLAC National Accelerator Laboratory in Menlo Park, California. Two types of cyanobacteria were used in the study called Cyanobium gracile and Synechococcus elongatus. 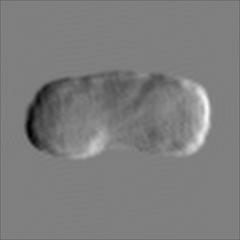 These cells have a roughly cylindrical shape that is immediately apparent in the reconstructions from the diffraction data. However, the leader of the experiment, Tomas Ekeberg, an assistant professor in molecular biophysics at Uppsala University, acknowledged that the pictures could have been even better but the data were more than the detectors could handle. “We so far can only accurately reconstruct to 76 nanometres resolution, but the data we collected indicates that we can get down to 4 nanometres, which is the size of a protein molecule”, Ekeberg says. A nanometre is a billion times smaller than a metre. The reason for the drop in resolution was what amounted to an overexposure, just like too bright of a light in a photograph. “This experiment was a proof-of-concept study”, says Ekeberg. “We will be able to obtain much higher-resolution pictures when we can use a filter to help reduce the overexposure.” adds Gijs van der Schot, a Ph.D. student with Ekeberg and the first author on the paper. Acquiring high-resolution micrographs from cells in conventional experiments has usually meant long exposure times and about a million times higher radiation doses than the dose that kills a living cell. As a consequence, much of what we know today about cells at high-resolution comes from dead material. The team’s new method can access the structure of living cells at practically instantaneous speeds, before radiation damage has time to set in. Each image is formed in femtoseconds. A femtosecond is a millionth of a billionth of a second. Such a revolutionary tool could help scientists better understand some of the mysteries of cellular function and behaviour. Additionally, this technique opens the door for future 3D modelling of cells and cellular activities, and provides key insights to fundamental processes in several important areas of disease research. The team plans to fine-tune the imaging method with further experiments and work on consistently developing images at higher resolution. Additionally, Ekeberg and van der Schot predict that future studies would attempt to develop the 3D cell division models or target particular structural information about the cells for bioinformatics. 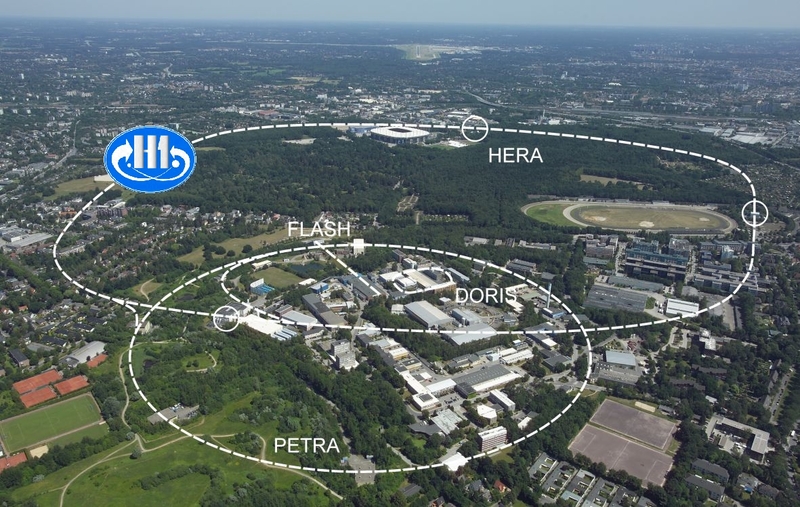 The future for imaging is getting even brighter in Hamburg, as the European X-FEL will soon start generating ultra-short, ultra-intense X-ray pulses at 300 times higher repetition rate than the best X-ray lasers today.